For heavy wall steel and stainless steel, four RCX cutter wheels (#03550) and eight RC8-30XR rollers (#93222) are required. REED can install these for you. Please request this when placing your order. The price of the cutter will be adjusted to reflect this change. Pipe snaps off squarely once the operator completes the cut. Spoked frame design allows for multiple handle attachment positions for operator to pull the cutter around the pipe. Designed to cut large diameter pipe. 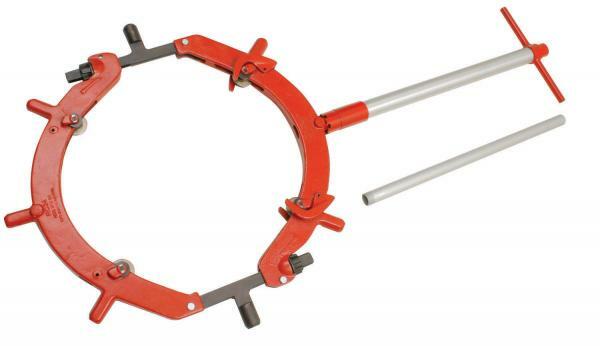 Change the cutter wheels to use same cutter for different types of pipe.